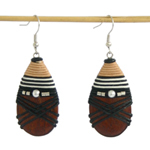 Working with kapok wood, Benjamas craft these earrings by hand. 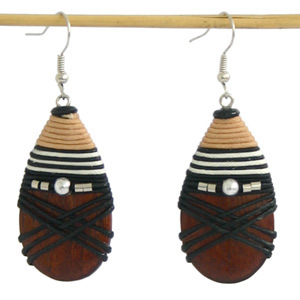 She decorates the wooden drops with cords and little metallic beads. 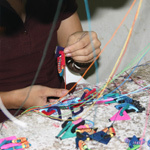 They hang from stainless steel wires.